“Good 404 page” might seem like an oxymoron. After all, arriving at a 404 means by definition that something, well, not good has happened. Even so, not all 404s are created equal. It’s worth shining a spotlight on some of the clever, creative, and just plain well-done error pages that take the sting out of reaching a dead end. Around the Siteimprove offices we’ve built up a Slack channel collection of our favorite 404 pages. Here’s a rundown of some of our favorites and some that simply deserve a shoutout. Let’s start with a lowlight that our friends at Cludo also call out. You remember this 404 page. It’s been an internet staple since the days of Geocities and Under Construction icons, but somehow it keeps hanging in there. There’s a lot wrong with this sort of error page: It’s ugly, it’s outdated, it gives users no info about the error, and the only path out is a link back to Home. If your website is still using this kind of 404, you’re essentially doubling down on irritating any visitor who’s already annoyed at winding up here. You’d expect something straightforward from America’s “paper of record,” and that’s exactly what the New York Times 404 page delivers—clean, basic design with nothing fancy or frilly. It’s also a very functional error page, offering not just links to the home page and some of the day’s most popular stories, but also an option to report a broken link. 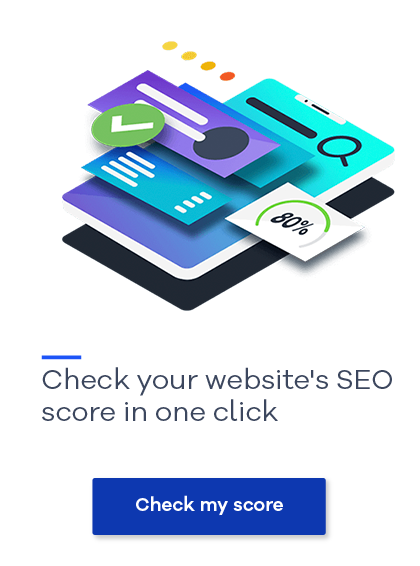 That’s a subtle way to both improve the site’s functionality and engage visitors in a way that makes them feel useful, a win-win situation all around. Nobody’s claiming that the Gillette 404 page’s shaving cream wordplay is classic comedy. But it’s a perfectly light-hearted touch that takes a bit of the edge off of stumbling onto a broken link. Even better, the razor company offers multiple options for navigating to something more relevant, including shopping, heading to the home page, or just returning to the previous page and trying again. Come on, how’s anybody supposed to resist a 404-themed game of Pac-Man? This clever adaptation might not seem like an obvious choice for digital services company Blue Fountain Media, but think about it—if you’re in the market for a consumer-savvy, creative web services vendor, a memorable error page design like this is almost as good a sales pitch as they could make. If anything is on-brand for National Public Radio, it’s thought-provoking content delivered in an unassuming package. This 404 page looks pretty plain at first glance. It’s functional, maybe slightly boring, until you notice that the links at the bottom all lead to stories about people and things that have famously gone missing. That’s a suitably witty approach to an error page for an organization known for both in-depth research and a dry sense of humor. This airbnb entry shows up on just about every list of the best 404 pages out there, and for good reason. It’s got just about everything you want in an error page: eye-catching graphics, clean and simple design, and best of all, a thorough set of links that give the user multiple options for continuing a browsing session. Of course, no matter how awesome your 404 page is, the goal is to have your users see it as seldom as possible. That’s where a quality assurance tool like Siteimprove Content & Accessibility can make a huge difference. By regularly scanning your site for errors like broken links, outdated content, and accessibility issues, we can drastically reduce the likelihood of your users winding up on a 404 page. While we obviously appreciate the art of a well-made 404, we think you’ll agree that it’s the kind of art that’s best appreciated by a limited audience. If all of this has you thinking your own 404 page could use a refresh, we’d refer you to Cludo and their Intelligent 404 tool. Cludo’s Intelligent 404 automatically detects what page the visitor might have been looking for, and dynamically offers them suggestions on where on your site they can find the relevant information. It’s a great way to seamlessly retain website browsers, and also offers insights on where your errors are coming from and what you can do to avoid them in the future. With more than 70% of visitors never coming back after encountering a 404, it’s a crucial way to keep website errors from costing you visitors! Ira Brooker is a freelance writer and editor based in St. Paul, Minnesota. He is a seasoned and frequent contributor to Siteimprove.